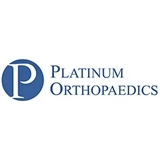 Platinum Orthopaedics (Fountain Valley) - Book Appointment Online! The board certified surgeons at Platinum Orthopaedics provide comprehensive orthopedic services for all musculoskeletal conditions. We are committed to deliver the highest quality, personalized care to our patients through our experience and dedication.